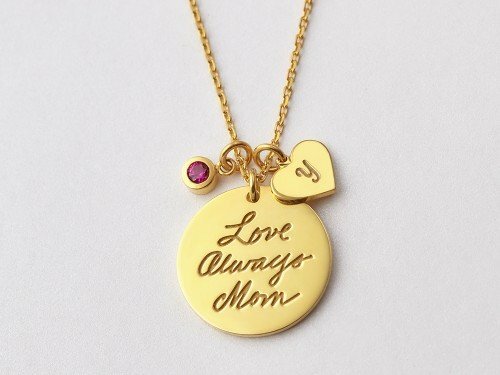 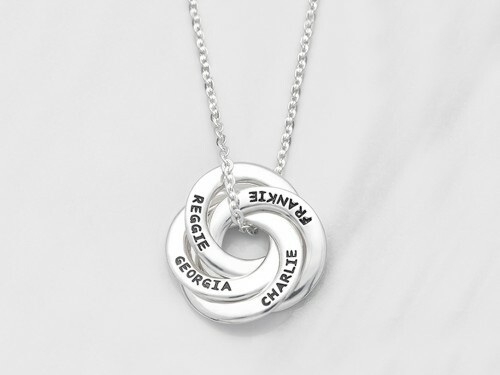 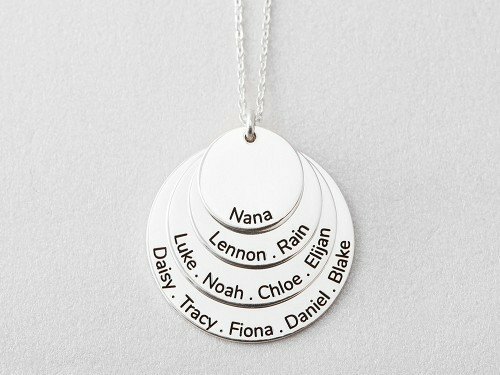 This beautiful hand-stamped two-ring grandmother necklace can hold up to 5 grandchildren's names. 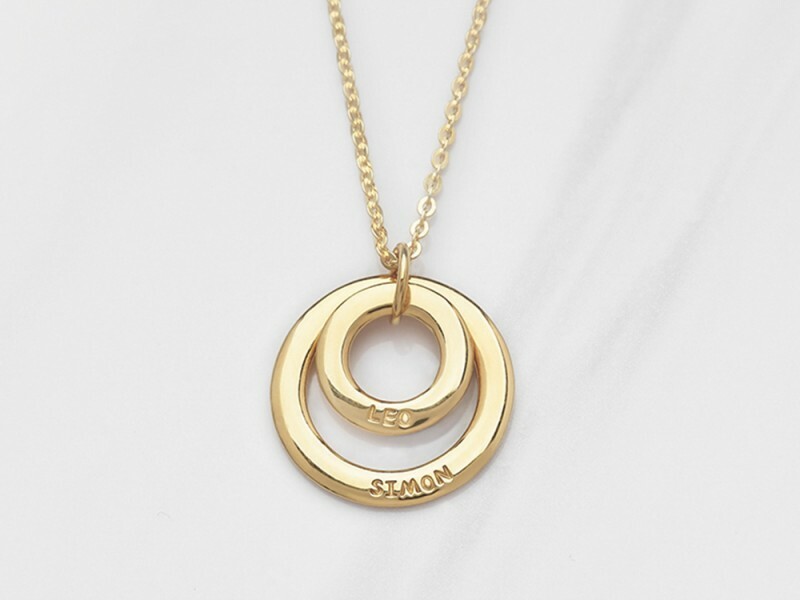 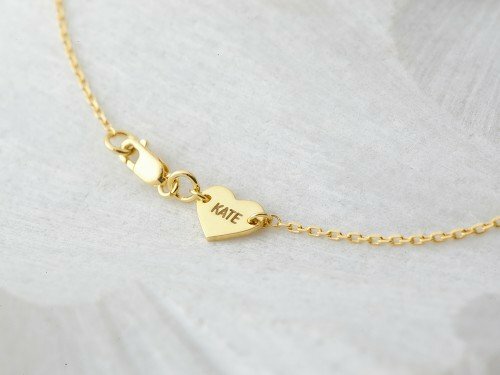 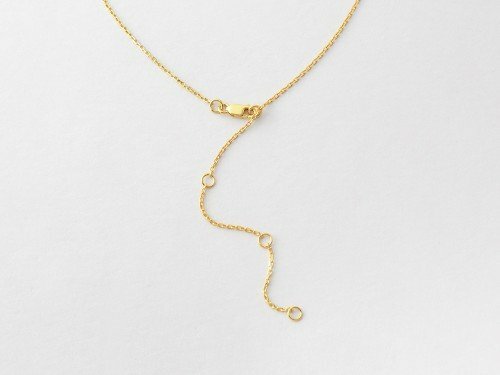 Available in sterling silver with 18K yellow and rose gold plate options, this family names necklace is very popular as Christmas gift for grandma. 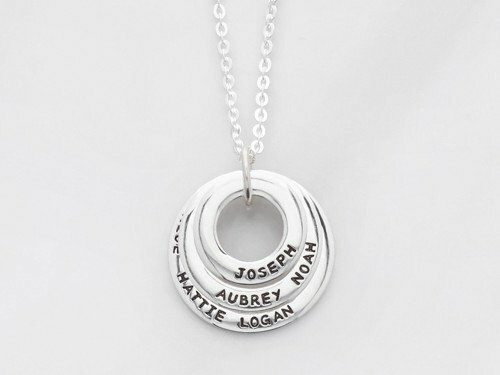 - Word limits: smallest ring: 2 names, largest ring: 3 names. 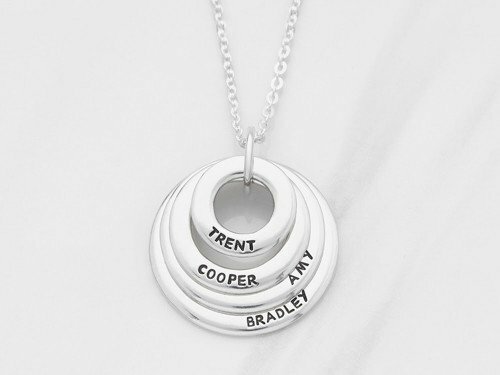 Measurements Smallest ring measures approx. 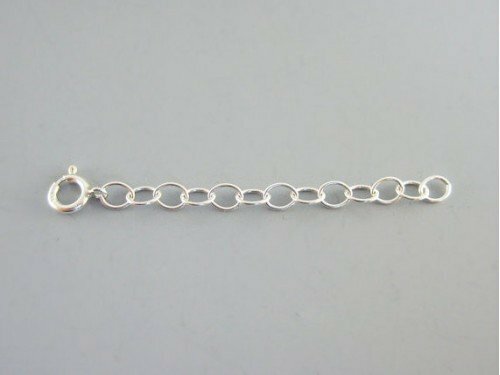 1/2" (13mm) and largest ring measures approx 3/4" (20mm).